« Winter specials on cigar box guitars! 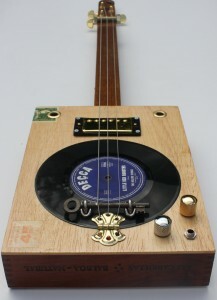 Final days of cigar box guitar sale! ‘Honey Waite’ – 2 string slide cigar box guitar bass with mini humbucker pickup, Wenge (African rosewood) and Tasmanian Oak neck. Sale price: $500. 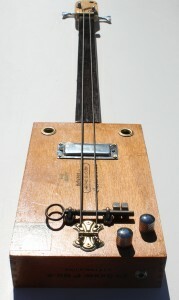 ‘Spoonful’ 3 string slide cigar box guitar with Bill Lawrence dual rail humbucker pickup and Tasmanian Blackwood neck. Sale price: $500. 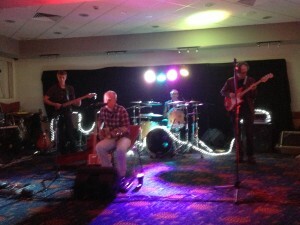 Caught up with my old band mates from the Mudfrogs a few weeks ago for a reunion gig. Great fun! I got out my cigar box guitar on a few songs and it went down a treat. To hear some of the songs of the night check out http://www.youtube.com/TheBootlegger007.